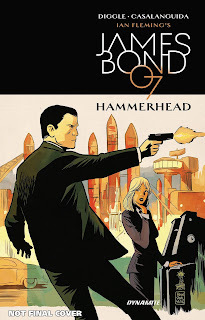 A collected hardcover edition of Dynamite's HAMMERHEAD miniseries by Andy Diggle and Luca Casalanguida is now available for pre-order. Release date shows as May 23, 2017. Pre-order the collected HAMMERHEAD at Amazon.com (U.S.) and Amazon.co.uk (UK).